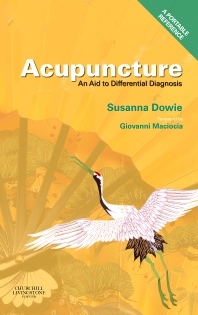 ACUPUNCTURE: AN AID TO DIFFERENTIAL DIAGNOSIS gives a comprehensive conventional and acupuncture differential diagnosis, referenced by presenting condition and by acupuncture diagnosis. Presented in an accessible format, spiral bound and with a horizontal cut on each page, it gives the practitioner and student access to a handy and portable memory aid to differential diagnosis. Each page is cut horizontally once, making four sections on a double page spread. As described above, the top pair of sections will be occupied by the Western and Chinese medicine differential diagnosis of a given condition. The sections below will be occupied by one of the Chinese medicine syndromes listed together with the acupuncture and lifestyle advice appropriate. The cut pages can be turned independently to enable rapid reference and comparison.